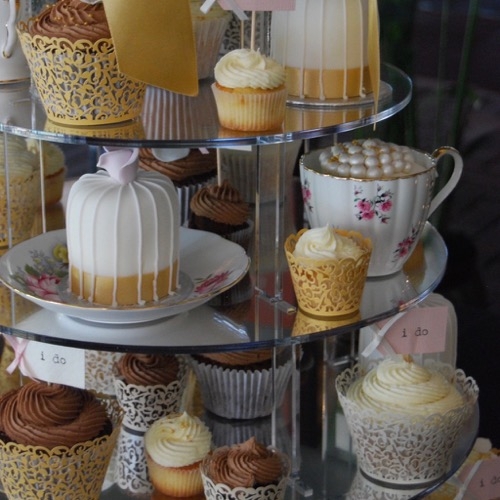 4” Birdcage & 6” round tiers with handmade sugar flowers and detailing. 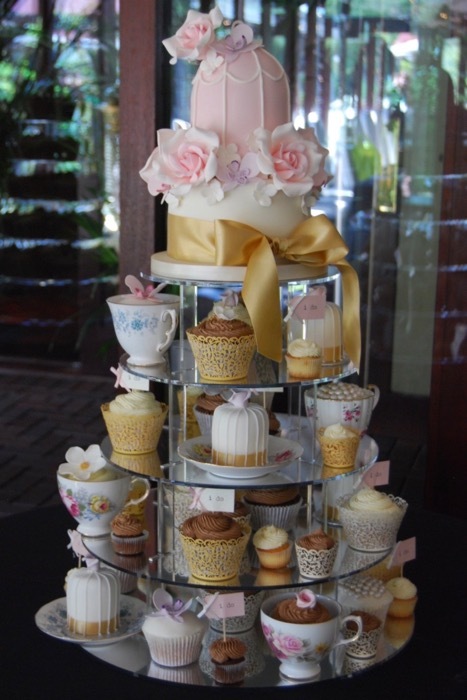 Regular and mini cupcakes with handmade sugar flowers, edible pearls, decorative wrappers and flags. 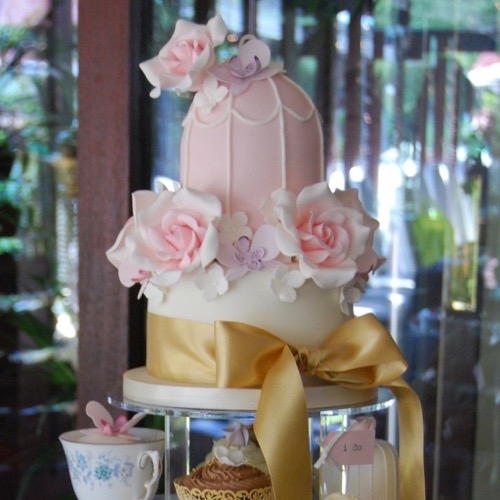 Mini iced Cakes with royal icing piped detailing and handmade sugar roses.